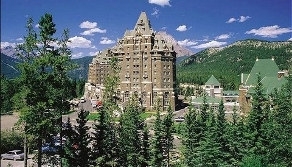 Sawridge Inn Jasper is a business-friendly Jasper hotel in a state/national park and close to Lac Beauvert, Lake Annette, and Jasper National Park. Additional points of interest include Lake Edith and Pyramid Lake. Dining options at Sawridge Inn Jasper include 3 restaurants. A bar/lounge is open for drinks. Room service is available 24 hours a day. Recreational amenities include an indoor pool, a sauna, and a fitness facility. This 3.5-star property has a 24-hour business center and offers small meeting rooms and audio-visual equipment. Complimentary wireless Internet access is available in public areas. This Jasper property has 5390 square feet of event space consisting of banquet facilities, conference/meeting rooms, and a ballroom. Complimentary shuttle services include an area shuttle which runs to destinations within 5 km and a train station pick-up service. Wedding services and concierge services are available. Guest parking is complimentary. Additional property amenities include gift shops/newsstands, ski storage, and laundry facilities. This is a smoke-free property. A total renovation of this property was completed in 2003.